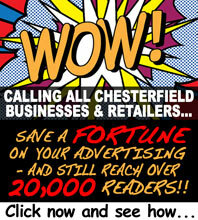 What European Towns Are Chesterfield Linked With? 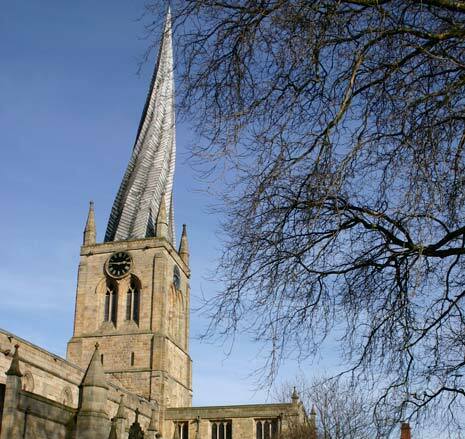 Twinned towns are an interesting topic, and Chesterfield is twinned with a total of four different towns around the world - two of which are in Europe, one in Namibia and the fourth located in China! Twinned towns tend to support each other in all areas including international students, community engagement, business and much more. Tsumeb in Namibia was the latest town to be linked with Chesterfield and this was finalised back in 1993. This developed after initial interest in making a north/south link with southern Africa, and this link generally has been based within the local community with teachers, college lecturers and more supporting this exciting link. There have been a number of projects including the Chesterfield Tsumeb Trust which helps to collect funds for the town, and sports training projects for teachers in the town. The Chinese link to Chesterfield is with the city of Yangquan which is located in the Shanxi Province in China - which was established in 1987. Shanxi was already linked to Derbyshire, but because of the coal-mining links between Yangquan and Chesterfield, it made economic sense to link these in order to communicate and exchange on a regular basis. While these are two very interesting links, we're taking a closer look at some of Chesterfields' original links to France and Germany, to see how these have impacted the town. This is the oldest twinning agreement between Chesterfield and another country, and was signed in 1959 in Darmstadt and 1960 in Chesterfield. The idea behind the twinning was to help facilitate some form of contact between ordinary people, which was originally seen as unthinkable after the World War. The idea behind this was to help ensure that another European war would be highly unlikely. One of the major benefits of the twinning with Darmstadt was the fact that a number of school children travelled to and from the countries, after an E111 renewal for the students to cover healthcare, in order to enhance their education. One of the more recent uses of this twinning came in 2010, when relatives of Sergeant Dennis Heeley, whose plane was shot down in the Second World War, were able to attend a memorial to the flight crew near Salzbergen and lay a wreath at the Sergeant's grave. The second link made was in 1973, with Darmstadt's French twin town Troyes. Troyes is located in the Champagne region of France, and is very well known for its historic buildings, and local textile and clothing industry. The links between the two places are very similar to the links between Chesterfield and Darmstadt. One very important link between the two is the current active link between Chesterfield College and a further education college located in Troyes, where students can enjoy work experience between the two regions particularly in catering and hotels. Links between primary schools and languages are also set to develop. Troyes is linked to twin towns in Poland, Belgium and the Netherlands, so we may see further links developing for Chesterfield in the near future.